Here you have a super easy and delicious recipe. It’s perfect as breakfast or dessert. I hope you like it! 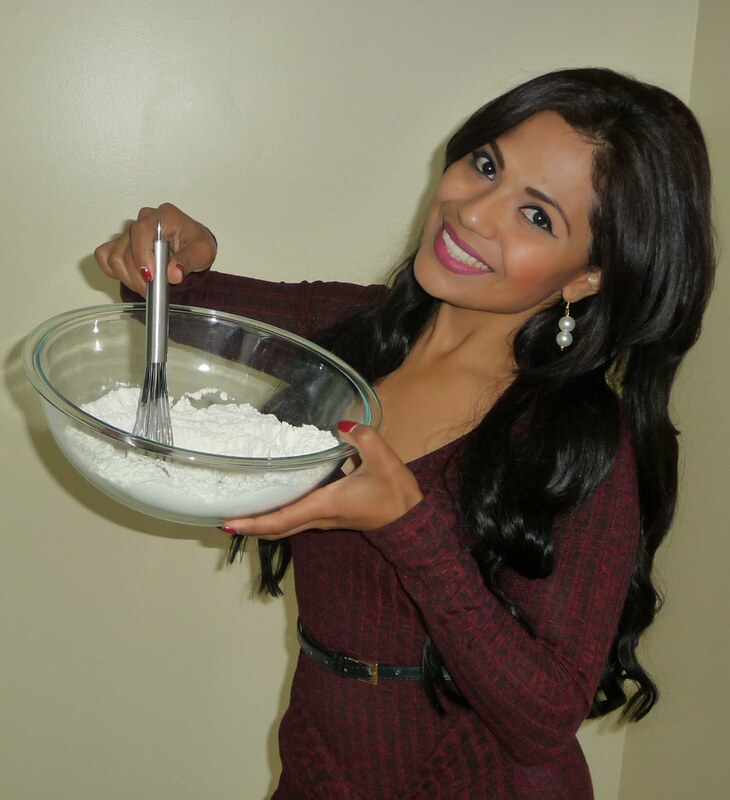 In a bowl, sift the flour with the salt, the baking powder and the baking soda. Stir to combine and set aside. In an electric mixer, combined the sugar with the lemon zest for about 15 seconds. Then add in the butter, and mix on high for 4 minutes or until you get a creamy grainy paste. Scrape down the sides of the bowl and then add in the lemon juice and lemon extract, beat for another 30 second. Scrape down the sides of the bowl, then set the speed on low and add in the eggs one at a time, and stirring each egg for about 15 seconds before adding the next one. After you add in the last egg, continue to mix on high for one more minute. Once the batter is ready, pour it into the pan. Bake at 350ºF for 60 minutes. Or until cooked. 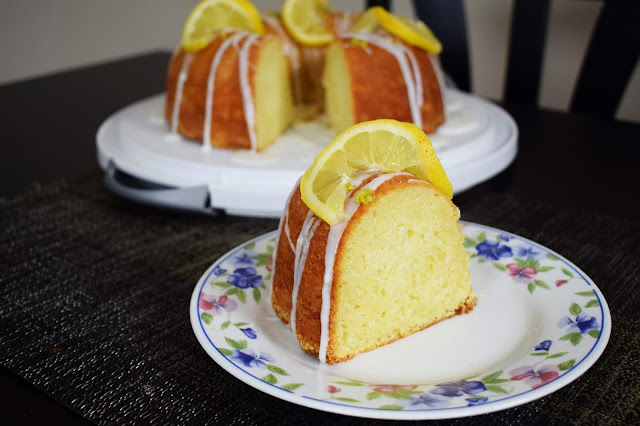 Once the poundcake is ready, let it cool down in the pan for 30 minutes, then transfer it to a plate or a cooling rack and let it cool completely. Combined half a cup of powdered sugar with two tablespoons of lemon juice, stir until the sugar is well dissolved. Place the glaze in a bag and cut the tip of the bag. Once the Pound-cake is cold. Top it with the glaze, and garnish with more lemon zest and lemon wedges.